An interview with Maldives expert, Alberto Calero, sharing the experience of the tourism industry in his country. He gives us details on how the islands are developing to accomodate the changing needs of millenial honeymooners. The Maldives has long been a leading destination for exclusive honeymoons, attracting couples from all over the world. However, in the last few years it has faced increasing competition from emerging destinations trying to make a name for themselves in the industry. Nevertheless, the country’s governing tourism body continues to invest a range of resources to keep its honeymoon industry relevant in the global playing field. We had an exclusive interview with Maldives expert, Alberto Calero, from Nomads Maldives, to gain an insight into the past and future strategies being applied by the country. When did the Maldives become a popular destination for honeymooners? Since 2010, the Maldives has been a hidden corner of the world for couples of the moneyed class, but the increase in popularity of this destination for this type of travel has surged in the last two years, increasing the flow of tourism by 20%. This increase is a response to a government plan which has the objective to reach 2 million tourists a year by 2020, up from the 700,000 of 2017. This is clearly a big target, hence they are laying the groundwork to be able to develop a consolidated project in the next two years. The Maldives receives most of its tourist from China, by reason of its geographic proximity, in addition to the volume of its population with high purchasing power, allowing them to explore this destination; China has held this first spot on the inbound tourism rank since 2010. Germany, UK, Italy, India and Russia are the countries, by volume, that follow. Notably, spanish inbound tourism has seen increasing numbers as its nationals look to explore a destination that offers alternatives to the well-known and poplaurised hotel complexes and resorts that is offered from its own islands. In more global figures, 52% of tourism that arrives to the Maldives comes from Europes and 39.1% comes from Asia. The remaining 8.9% is shared between the other continents. The range of ages is quite broad, but there are two main blocks: Between 25 and 34, with a representation of 52%, and then 34 to 44 years olds, who represent 34% of travellers. The rest is spread around these limits and are heavily based on scuba diving based tourism or trips to exotic places. Although, underwater expoloration is not an exlusive activity, given that it often forms part of honeymoon trip it allows couples to explore another one of the big attractions of the country. 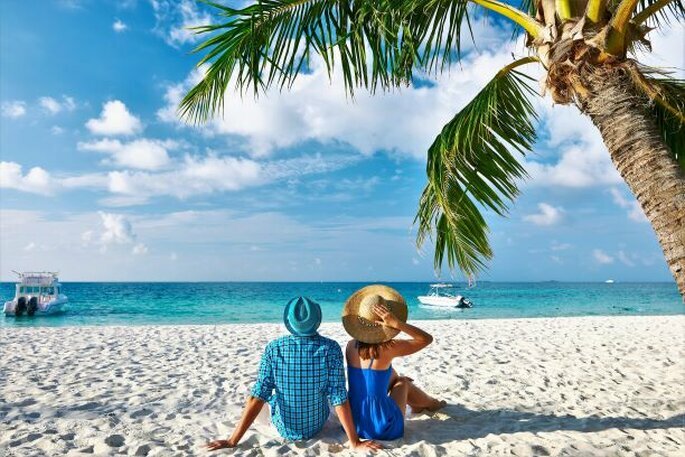 In regards to the budget of these travellers, these can vary depending on type of stay and the activities that they carry out, but a total average rounds to $5,130 (4,497 euros) for a honeymoon here. What challenges has the country faced as a honeymoon destination in the last few years? The biggest challenge that has hit the Maldives has been the increase in options for exclusive experiences like that of the Maldives, but at an accessible price point to those with a more modest budget. In order to have a competitive offer with that of the other desirable honeymoon destinations, you have to open the range of options, modernize infrastructure and services, and try to attract couples outside of high season to generate a more continual flow of tourism during the whole year. This amounts to having better facilities within accomodations so they do not experience long periods of zero to low occuppancy. Resultedly, they can distribute a bigger budget to other business development which will no longer be subject to the seasonal fluctutions. What is being done to combat these factors? 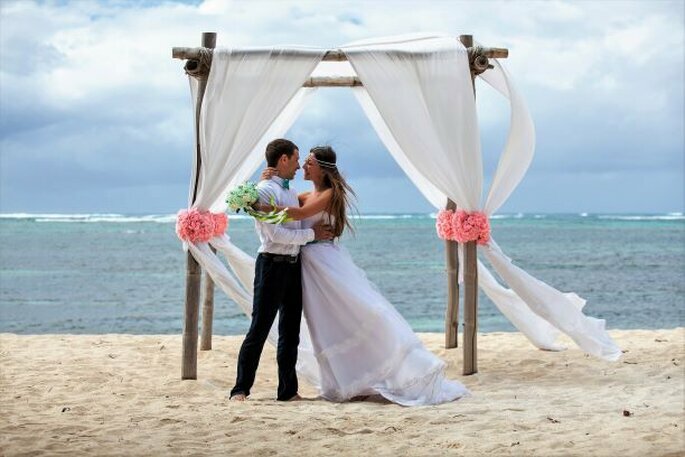 We have seen the country diversifying its offer of vacational complexes, creating options to accomodate the types of couples who visit the islands for their hoenymoon. In a recent declaration from the country’s Tourism Minister, Moosa Zameer, he put the focus on the new tourist centres located on various private islands which are to be opened throughout the next year, which will give a wider variety of options to the type of couples who are searching for a more exclusive experience. Running parallel to this, we are seeing that a series of smaller scale projects on the local islands are being developed. This consists of the opening of hotels with high quality faclities, at a more budget-friendly price point, to open the doors to year round tourism and allowing visitors to experience more of the local culture as opposed to being secluded in a resort complex. What makes the Maldivss attractive for the millenial couple? The millenial couple covers a broad spectrum of ages, emerging from the generation of the Baby Boomers up to Generation Y, so to try to add specificity, a millenial is considered those born after 1982 and that reached maturity at the turn of the century. Growing up in this era has made them posess very particular charateristics, given that in general they have a superior level of education to previous generations, are aware of their social situation, are big users of technology, and are usually very “up to date”. This creates a consumer profile that is very connected and has very high expectations with regards to the services and producs that they use, being very demanding and critical of the obtained results. Their impact causes technological innovations because technology is a natural tool for them in their day to day lives; the internet, mobile devices, social media, etc. They tend to be less trusting than previous genererations and this makes them more critical with those aspects that do not fit with what they consider standards of excellence. All this summarised in a digital environment where they move like a fish in water, makes their opinion relevant for other millenials and in passing, by the rest of the generations that also find themselves influenced by them. 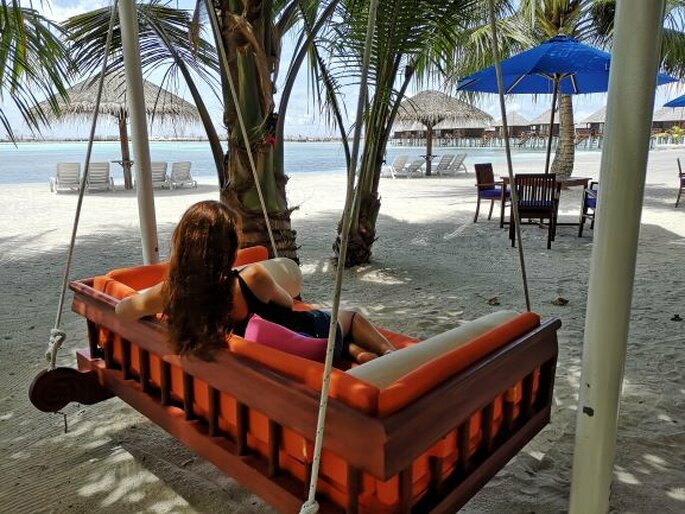 In this context of high expectations and a need to be constantly connected in order to share their experience, the Maldives resort has produced the perfect solution. An exlcusive offer that encompasses excellence in regards to service, facilities and environment, and that offers them the possiblity of being constantly connected in order to be able to post about their experience; this has made them opt for a destination like this. What actions are being adopted on a national level to raise the country profile as a destination? With the news that flooded the press about the different political tensions and riots in the capital, the Minister of Tourism made a quick response to assure all that tourism wasn’t being affected by the internal problems, transmitting messages of peace and trust in the country’s tourism activities. The country sees this activity as its main source of income for the future, so they are developing lines of work and growth that allow them to reach the objective of the two million tourists in 2020. 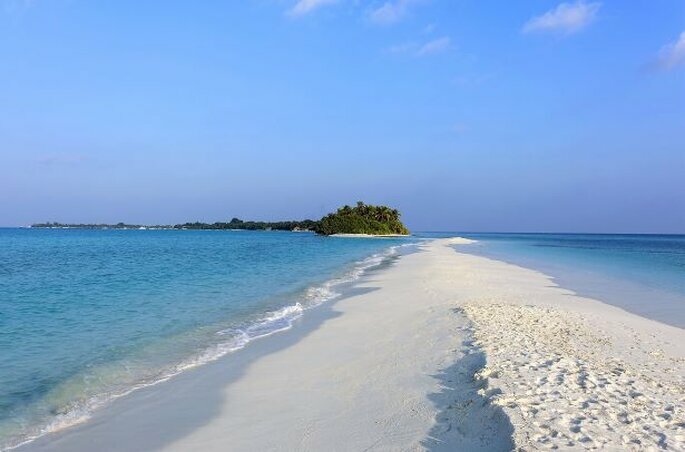 The country has a unique geography that sets it apart as an exemplar destination with incomparable potential, supported with impactful marketing campaigns pushed from the Maldives Marketing and Public Relations Corporation (MMPRC). The Ministry of Tourism continues to develop its brands “Visit Maldives” and “The sunny side of life” that have an important on online and offline presence. All this added to the developing lines of work focused on opening new holiday complexes for next year, is to help move the country towards being a reference for holiday destinations and honeymoons. Recently it has been awarded the Best destination for honeymoons by the prestigious Luxury Lifesyle Magazine in its Readers Travel Awards 2018. This adding to various awards that have been previously given to different hotel complexes that form part of the touristic offering of the Maldives. What other agents/forums does the Maldives rely on to promote the country? The Minister of Tourism co-ordinates promotional campaings for Visit Maldives, which are shared internationally. He also attends all types of events and tourism fairs, giving visibility to the differnt types of suppliers who offer tourist services within this destination. The events that he has attended this year include: the International Travel and Tourism Fair (FITUR) in Madrid, where he was accompanied by 22 businesses operating in the Maldives industry: This edition of the event had the highest number of professionals in attendence on record: 10,000 businesses from 165 countries. The Arabian Travel Market in Dubai had 86 countries that particpated; China Outbound Travel and Tourism Market in Pekin which was more focused towards services; and finally the Moscow International Travel Tourism Exhibition in which 97 countries particpated. We, travel agencies that work with the destination, are also opening doors to show this paradise to the rest of the world, sending more and more people to discover what the Maldives can offer with many choosing this destination for their vacation or honeymoon. What does the future hold for this sector in the Maldives? The future of this sector can be summarised in a word: growth. 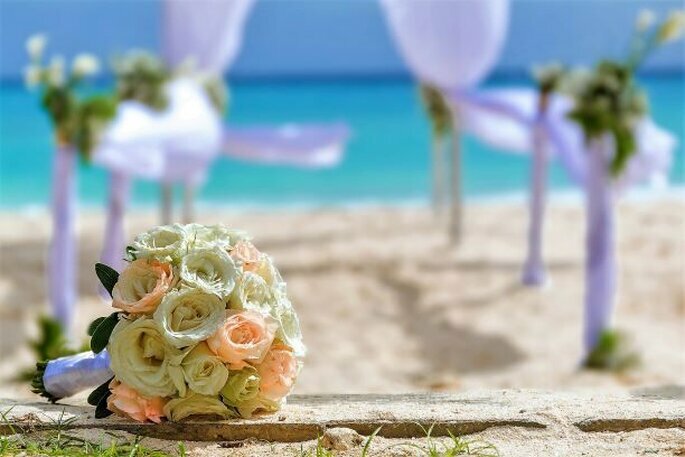 In the next few years the growth of the hotel offering is going to open a spectrum of possibilities, especially for newly-weds who choose the Maldives over other catalogued romantic destination options. Known alternatives for a romantic getaway include Venice, Rome, Paris, but they are losing pull with respect to emerging destinations for this type of travel, e.g. to Prague or Dubronik. And a new spectrum of options are opening to destinations like the River of Silver in Agentina or the Gran Canyon in Colorado. 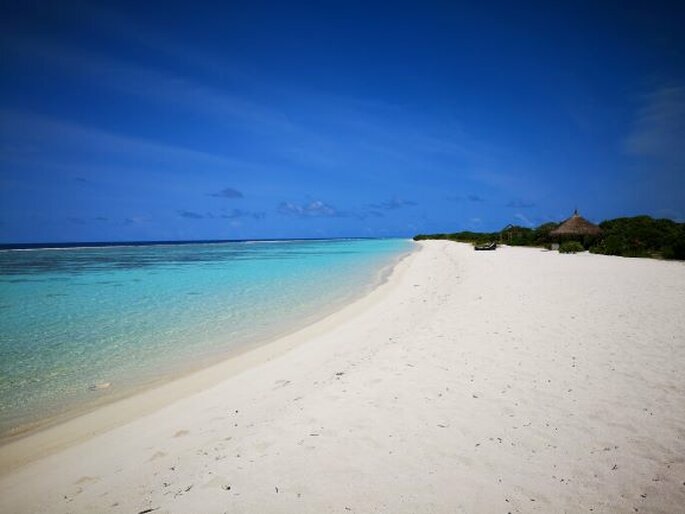 However, within the sector of tourism that offers exclusivity and paradylic beaches with crystal clear water, Maldives is leaving those already known havens in the Caribbean, Maya Riveiera, Punta Cana etc. to the side. It is setting the groundwork to allow it to become the preferred destination for honeymoons in the next few years. Do you offer goods or services for honeymooners? Learn how to reach your target market here.